4 bedroom, 3 bath duplex house (sleeps 12) in the Keystone Ski Area. Walk to 7 restaurants, 3 night spots, internet/sports cafe (12 HDTV's + video game area), and Mountain House lifts and activities. Private hot tub on the patio. 2-car private garage. Living room has vaulted ceilings 2.5 stories high with floor-to-ceiling windows on two separate walls. Ideal property for those who want more privacy than a condo (only one neighbor--windows on the other three sides). Need MORE space? Add the 2nd 4BR half of this duplex to rent the entire house (total of 8BR/6 Baths. See www.vrbo.com/1405138 for rates, photos, and details on renting BOTH duplex units together. Linens are included for every sleeping surface. 2-car garage for each duplex unit. Includes everything for the dining table. Full kitchen with all major appliances, automatic coffee maker, and eating bar. Deck off the living room (faces the ski runs). Separate patio in back of house. The house is located in the Keystone Ski Area. Walk to the Mountain House lifts or hop on the free shuttle nearby. Very comfortable condo for our long ski weekend! 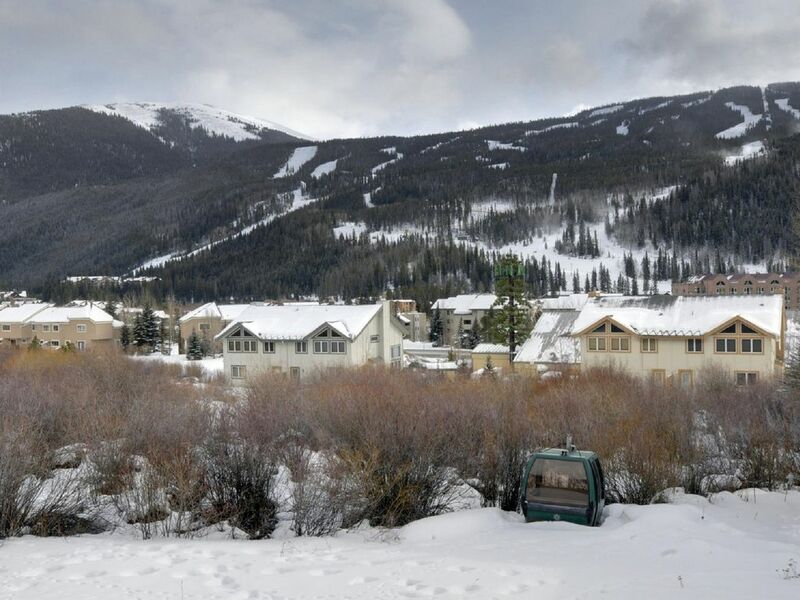 Great location - very close to Keystone ski parking. Very comfortable and plenty of room for our two families (4 adults and 5 kids). Loved the two car garage and little extras not normally provided like shampoo/conditioner/lotion in bathrooms, extra paper products and even garage remotes for two cars! Highly recommend this property and hope to stay here again! We had about 8 adults stay here and there was enough room for all. Kitchen was fully stocked ( minus dishwasher soap) and the dining room table was great to have the big meals at the end of the day. One couple hung out in the hot tub and watched the meteor shower. I did enjoy the view from the front deck but nothing to see in the back. The garage was very handy to keep the bikes at night. It was a great find and we will be using your service again in the near future. The directions and the check in and check out were super smooth. We really enjoyed the prime location!! So close to everything we wanted to do and could have needed! Couple of things- the master bathroom lights above the bathtub needs a new canister. Also the stagnat water behind the home made relaxing in the hot tub difficult with the mosquitoes. We thank the guest for calling this to our attention. The outlet for the beaver ponds behind the house had been temporarily blocked and the water in one area did become stagnant. We've now opened it up again. The canister above the master bath tub has also been repaired. Can't beat the location of this home (you can walk to the lifts at Keystone) that came well-appointed with everything we needed (including cooking meals for 7). Looking forward to staying here again next year! The only bummer was being woken up at 12:30am by folks talking loudly in the hot tub in the neighboring unit. Our group thoroughly enjoyed out stay and would recommend this property highly! We love our winter ski trip with 3 families and 4 kids. The location is so convenient, the ski rental shop is right out the back door, and you can check out the slopes from the den. The house was well supplied. The hot tub was awesome!! We will be back next year!